Fill your home with the rich, warm and invigorating blend of black olive and frankincense, finished with a citrus kick that will enliven even the most uninspired of interior spaces. Lovingly hand-poured by our experienced perfumers, the No. 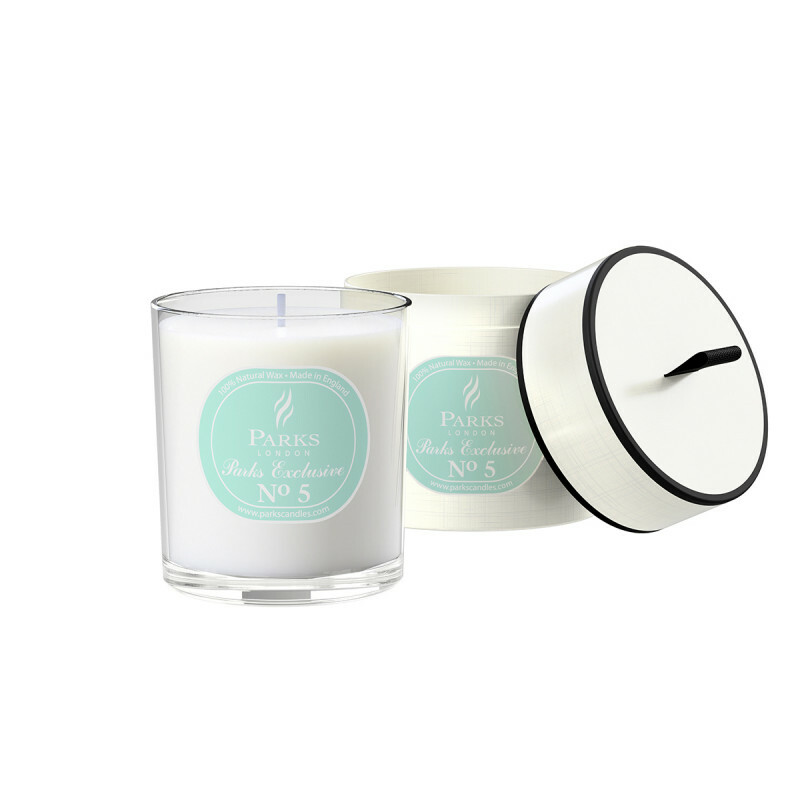 5 Olive & Frankincense Candle from Parks can help you set the tone for a sophisticated and peaceful evening, however you choose to spend it. Inspired by the sun-kissed shores of the Mediterranean, our No. 5 home fragrance is underpinned by evocative base and mid notes of black olive, a natural and enlivening scent reminiscent of the vines of Italy, Spain and Greece. The scent is earthy and herbaceous, helping to create a warm and fragrant environment. Cutting a swathe through this base note of olive comes frankincense, whose timeless aroma brings a hint of Middle Eastern spice to the bouquet. Frankincense is renowned for its fruity, spicy and sweet character, and it’s these subtle notes which contrast perfectly against the aromatic black olive – for a balanced and rounded fragrance. As a final flourish, we’ve added a twist of citrus, which serves to lighten the scent with invigorating top notes of fresh lemon zest. The result is a complex and elegant scent, suggestive of sunlit days in warmer climes. Exclusive to Parks, our No. 5 fragranced candle is made from pure, natural wax hand-poured into a charming glass votive, with our signature soot-free wick system which produces a clean and soot-free burn, for truer and longer lasting fragrance.